Non-enveloped, head-tail structure. The head is about 60 nm in diameter. The tail is non-contractile and very flexible, about 151 nm in length and 8 nm in width, with 4 short kinked terminal fibers. Linear, dsDNA genome of about 50 kb, terminally redundant and circularly permuted, containing about 80 genes. 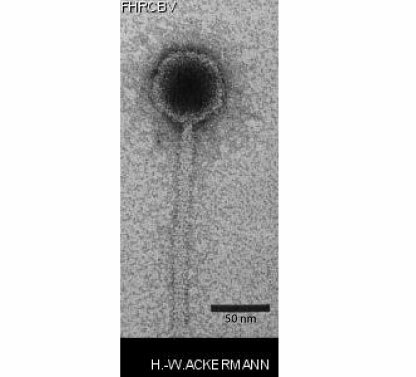 The phage attaches to the target cell adhesion receptor FhuA through its tail fibers. 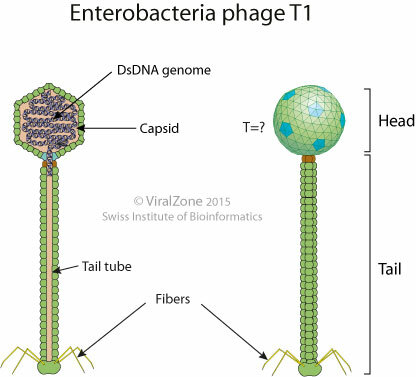 Replication of genomic DNA, formation of viral genome concatemers. Assembly of an empty procapsid and packaging of the genome through a headful mechanism.